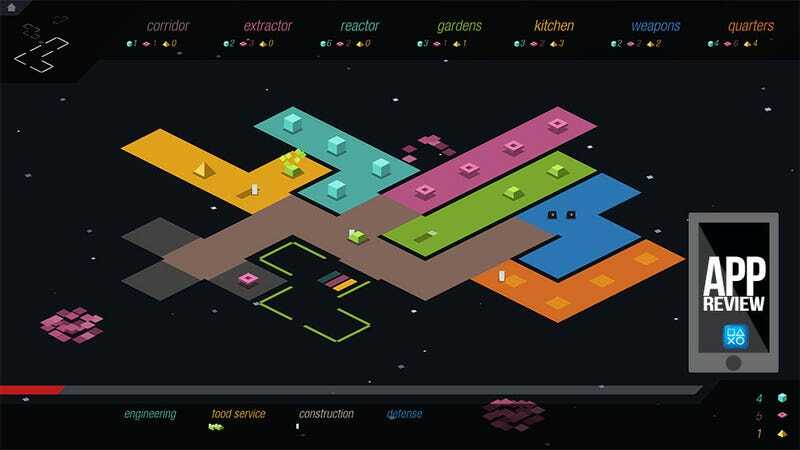 It's Rymdkapsel, and it's the minimalist real-time-strategy game with a Tetris twist. It's downloadable and out for PlayStation Mobile platforms now. It's brought my PlayStation Vita back into rotation. The developers call it "meditative space strategy." Sure. Though I think I was hypnotized. Can't stop playing! Got five minutes? And five bucks? You'll need those minutes to see why the game has displaced my 3DS this week as my go-to portable gaming platform. You'll need that much money to buy the game. Keep it simple. Let the gameplay be the star. I'm a fan. Developer: Grapefrukt (Martin Jonasson) with music by Niklas Ström.